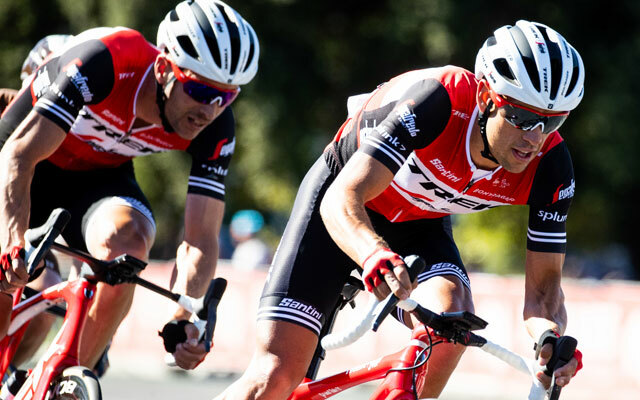 Trek Segafredo is a UCI men's road cycling team with a roster of 28 riders from 18 different nationalities. The USA-registered WorldTour team competes around the world from January through October with over 250 race days each season. Trek-Segafredo is a global team invested in bikes, coffee and the future, and races hard for the glory of the sport we all love. 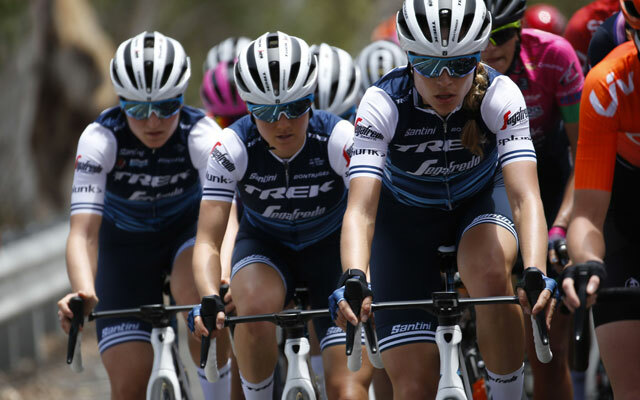 The Trek-Segafredo women’s team makes its debut in 2019 with a formidable squad of champions such as 2015 road world champion Lizzie Deignan, Elisa Longo Borghini, Ellen Van Dijk, 2018 team time trial gold world champion Trixi Worrack, Jolanda Neff, and Letizia Paternoster. 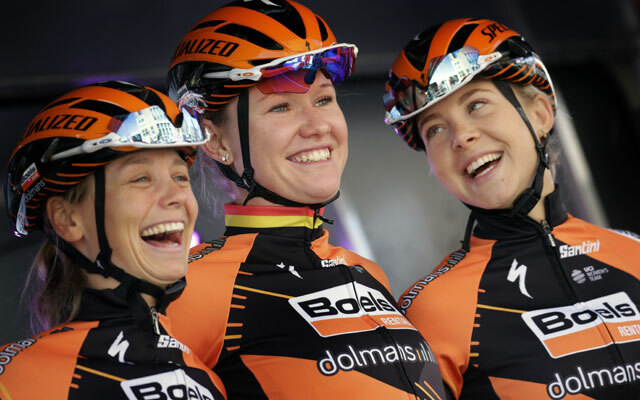 Since its inception in 2010, Boels-Dolmans has consistently been a top team on the UCI Women’s World Tour. Silver medal winner in Team Time Trial at the 2018 World Championships in Innsbruck, the Dutch team's impressive roster features the last three UCI Road World Champions: including Anna van der Breggen, who will ride with the prestigious rainbow stripes throughout the season. In addition the team's roster will boast National Champions Chantal Blaak of the Netherlands, Amalie Dideriksen of Denmark and Christine Majerus of Luxembourg. Pro-Continental team with mindset and work-ethic of the UCI World Tour. With a defined mission to develop young Italian & Japanese talent in preparation for the upcoming 2020 Tokyo Olympic Games. Nippo-Vini Fantini is an Italian project developed in conjunction with Japan and objectives spanning the globe. 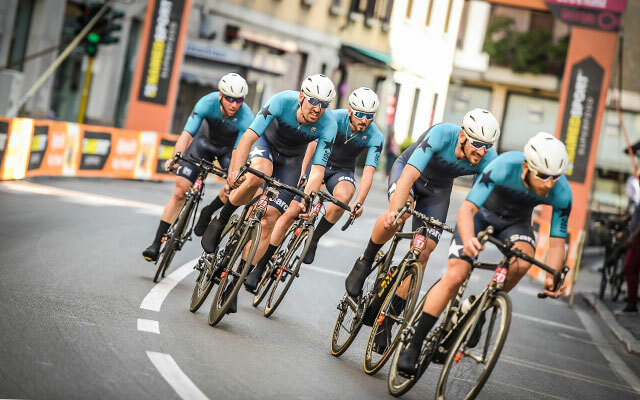 At it's core Nippo is a team that aims to create a new type of cycling with management founded on ideals of total transparency and innovate methods of communication. 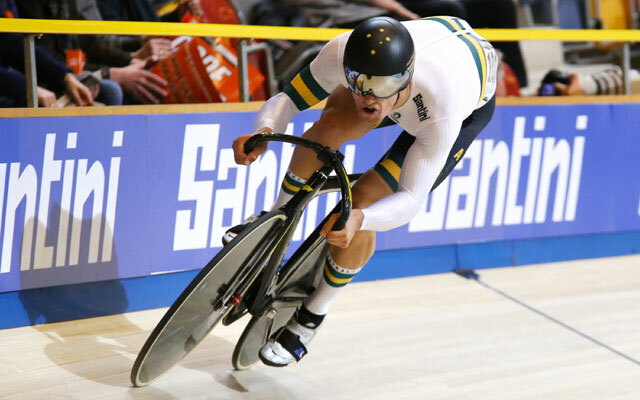 The Australian National team consistently produces riders of the highest level including Cadel Evans, Anna Meares, Macey Stuart, and 2018 Time Trial World Champion Rohan Dennis. Though the years they have produced results that put them alongside strongest national cycling teams in history. Their secret formula, of which we are proud to be part of, lies in their attention to detail and hard work which allows them to achieve the maximum performance. An up and coming national cycling team. Slovakia can definitely be regarded as a true gem thanks to the success of 3 time UCI Road World Champion Peter Sagan. Back to back to back Rainbow Stripes in Richmond 2015, Doha 2016 and Bergen in 2017 galvanized his reputation as one of histories most decorated cyclists. Santini proudly works alongside Peter and his teammates to provide the most comfortable, high performace technical clothing available. 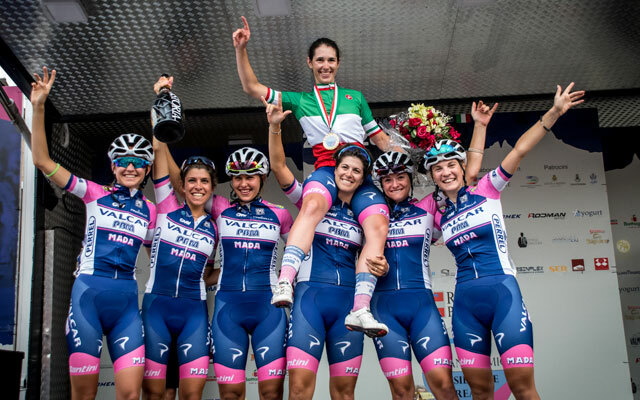 Dedication and passion that are the core of this professional women's cycling team whose main objective is rider development by bringing together a group of talented young riders alongside their more experienced counterparts. Team Valcar finished 15th overall in the 2017 women's team rankings which puts the Bergamo based squad in a position to compete with the world's best teams in 2018. 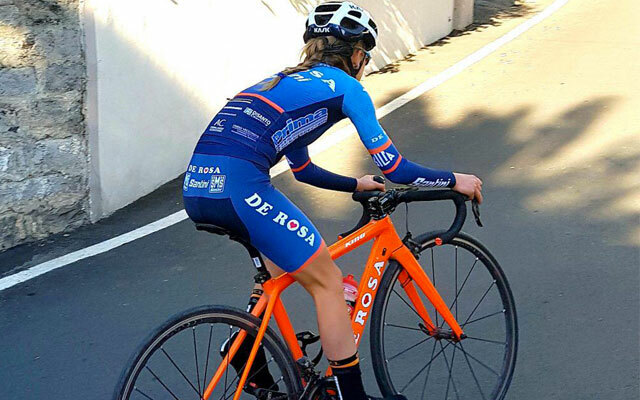 Team DeRosa Santini's goal is to assemble a series of supplier partners to create the perfect representation of excellence in Italian sportswear. In addition there is a strong focus on reaching one's personal goals through one's passion and sacrifice. 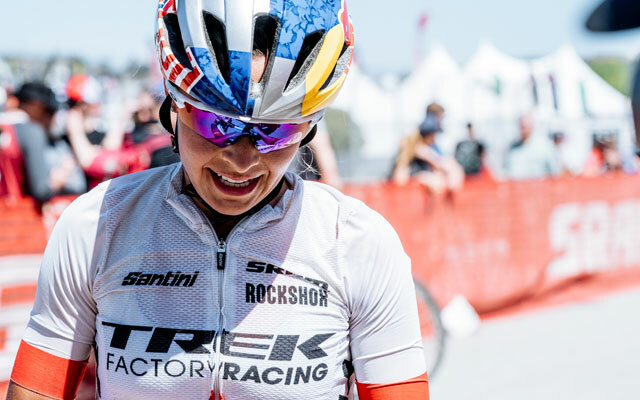 Charismatic and driven, the Trek-Segafredo rider’s impressive resume includes a UCI Road World Championship in 2015 as well as UCI Women’s Road World Cups in 2014 and 2015. She showed her potential early on when she claimed silver in road race for Great Britain at the 2012 Olympic Games. Currently she holds the title of England’s road cycling national champion that she also held in 2011, 2013, and 2015. Lizzie has been collaborating with Santini since 2017 when she worked with the product development team to create her own dedicated line of women’s road cycling wear Lizzie x Santini. Alessandro Vanotti started his professional career 13 years ago with team De Nardi and during that time he raced for some of the strongest teams in the world: namely Domina Vacanze, Milram, Liquigas and Astana, always supporting the best riders of the UCI World Tour. Today Vanotti has retired from competition, but the former pro can boast having helped to win three Giro d'Italia, one Vuelta de Espana and the Tour de France. These guys are the protagonists of our Custom Cycling Clothing Campaign. A local team that is very close to our hearts and whose riders are actively involved in testing and developing new products. 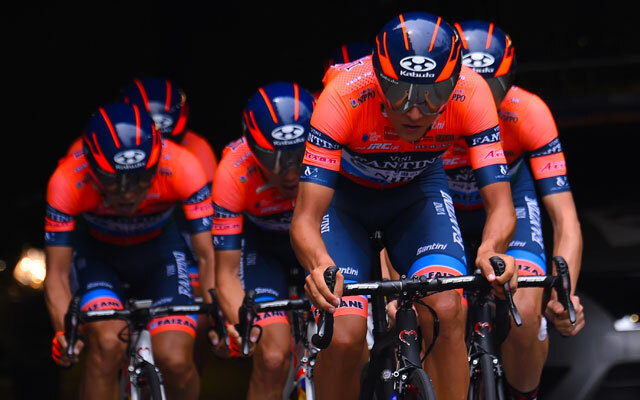 The team Lundici Sarco-Santini is easily one of the best looking kits around, expecting nothing but the best in performance and style. 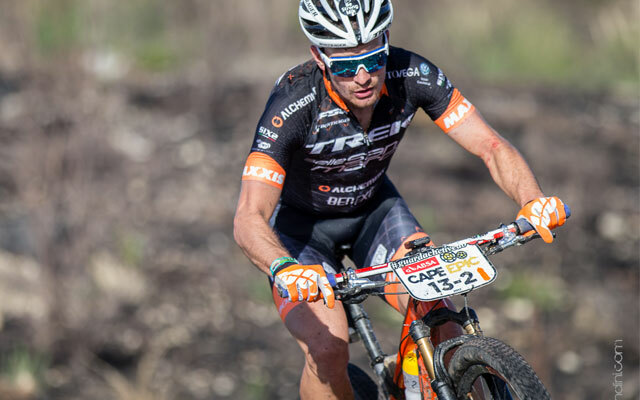 One of the top teams in Professional Mountain Biking. Under the guidance of Ex-pro rider Massimo Ghirotto and President Felice Gimondi, Italian road cycling legend that needs no introduction. The athletes of Team Bianchi-Countervail are staples in the world of MTB: 2012 Olympic Bronze medalist Marco Aurelio Fontana, Stephane Tempier and U23 European champion Chiara Teocchi are exemplary of a team that considers the growth of young riders one of its main strengths. Among the top international MTB teams, Trek Factory Racing XC and MTB features some of the best riders in world including Anton Cooper, Lenzerheide worlds bronze medal winner Emily Batty, Ellen Noble, Sergio Mantecon Gutierrez, Emma Swartz, and under 23 world champion Evie Richards, and 2017 XCO world champion Jolanda Neff. A team that will be competing at the highest level in both Cyclocross and MTB. One of the oldest teams in Italian cyclocross, a true breeding ground for cycling talent who over the years have had the honor of wearing Guerciotti-Selle Italia jersey while going on to take home numerous honors. 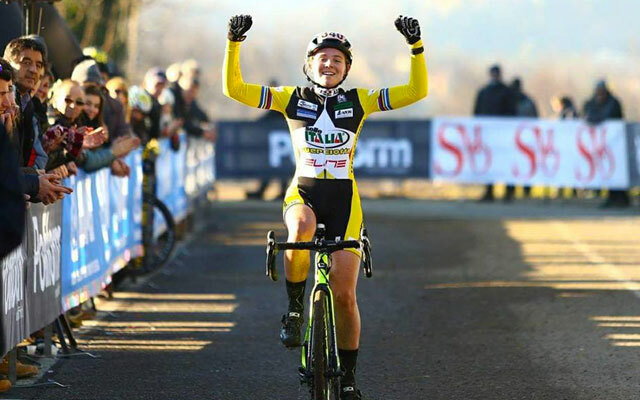 The team boast Gioele Bertolini, a strong U23 athlete who won the Italian title in 2016 in the Elite category alongside teammate Alice Arzuffi who finished second in the Women’s Elite Category of the 2016 Italian Cyclocross Championships. The team was founded in 2013 and was immediately competitive at the highest level thanks to it’s elite athletes at the apex of the MTB scene. A team built to excel in both the Cross-Country and Marathon races led by Samuele Porro and Austrian champion Christina Kollman that will complement the experienced riders Damiano Ferraro, Alexey Medvedev, Ivan Gutierrez, Fiabian Rabensteiner and U23 Mattia Faglia. 2014-2016 European Champion of IM 70.3 and twice qualified for Kona, 2017-2018, Giulio represents the present and the future of long distance Triathlon. He has become part of the Santini Team in 2018. Tim Reed is one of Australia’s top professional triathletes. 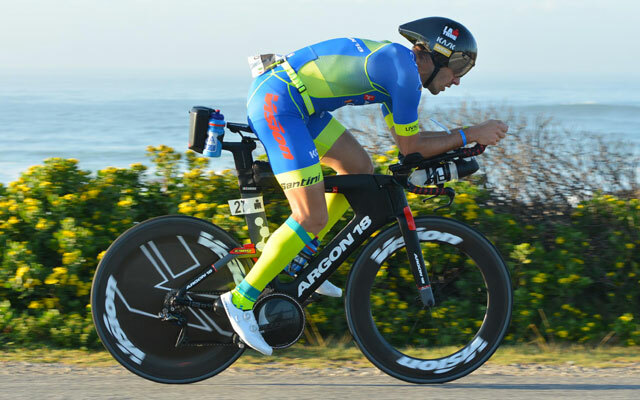 He turned pro in 2010 and in September of 2014 takes seventh at the Ironman 70.3 worlds in Canada. In December of the same year Reed took third behind the two Germans Micael Raelert and Andreas Dreitz at the Challenge Bahrain. 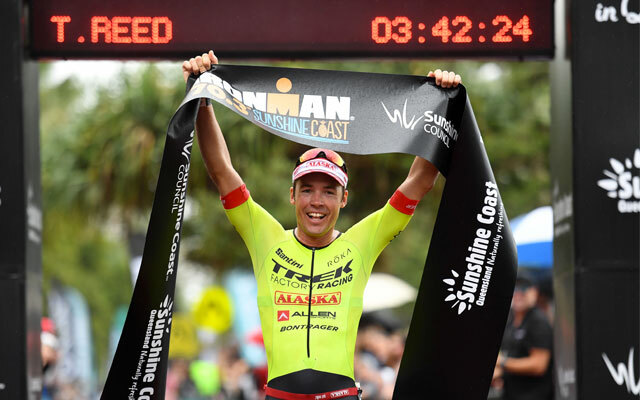 The highpoint of his career thus far is surely when in May of 2016 when he won the Ironman Australia and in September of the same year in Mooloolaba he won the Ironman 70,3 World Championship. 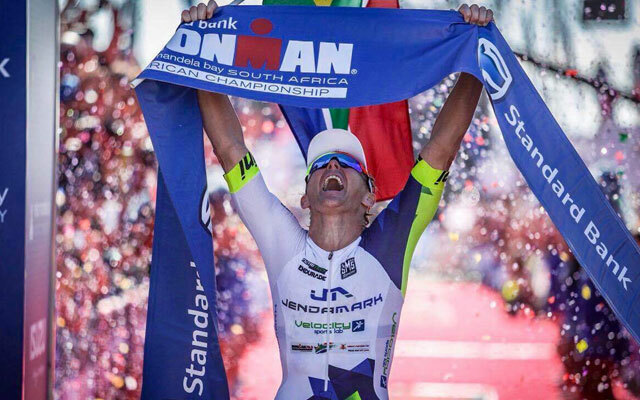 Born in South Africa in 1983, Kyle started running and cycling at age 24 and competed in his first triathlon the following year. From that point on, triathlon became an integral part of Kyle's daily life to the point of eventually qualifying for the Ironman worlds in 2018. 707 Team 707 was formed in 2012 by an ambitious group of athletes with over twenty years’ experience in triathlon. Team 707 is committed to becoming the best team in triathlon in both national and international competition. 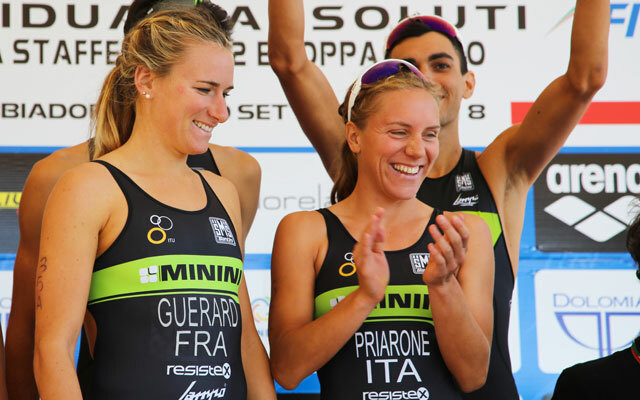 Reigning Italian Team Champion in the mixed relay category, which will be Olympic speciality in Tokyo 2020. The team also boasts two bronze medals and one silver at the Italian Elite Olympic Distance Championships. 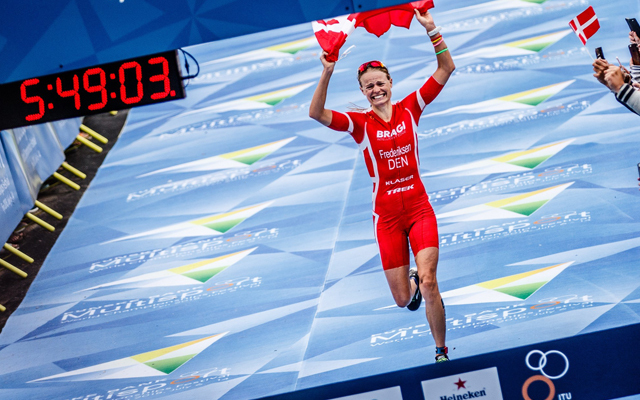 Helle Frederiksen is a Danish professional triathlete with an impressive resume. A London 2012 Olympian, the 2018 ITU Long Distance World Champion, a 9 x IRONMAN 70.3 Champion and currently holding the world’s fastest time for the 1.9km swim, 90km bike and 21.1km half-distance triathlon format: 3:55:50. 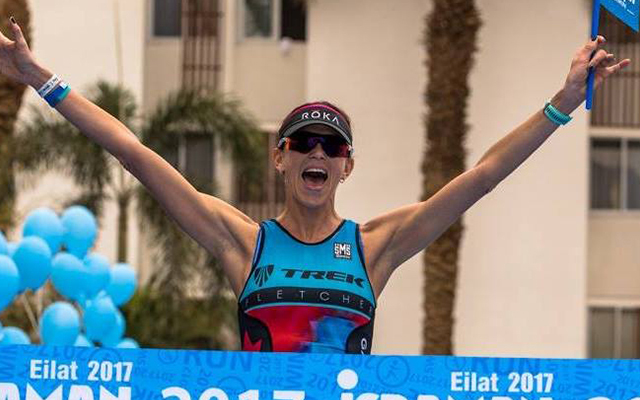 In 2017 Helle clocked an 8:55:35 finish time on her way to 2nd place overall during her IRONMAN debut in Arizona. Model, former professional triathlete, and current Triathlon Coach. Jenny joins Santini for the 2019 season as brand ambassador. English Pro Triathlete, Holly was Ironman 70.3 World Champion in 2016. 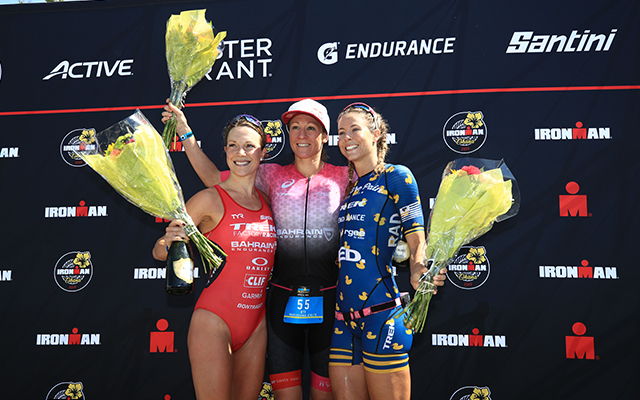 She returns to be part of the Santini team for the 2019 season, a year that started off with a bang when she won the Ironman 70.3 in Dubai. We look forward to her making lots of noise this year, especially in middle distance. 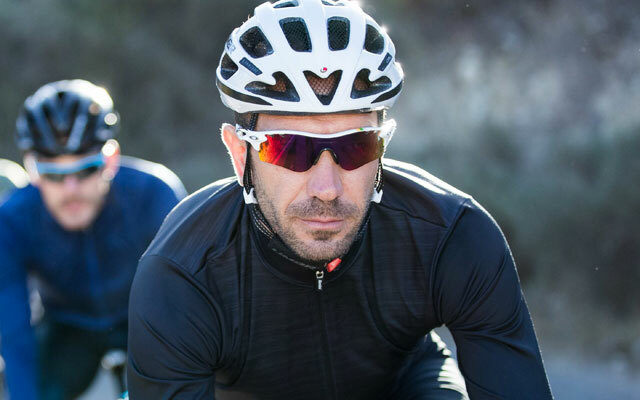 Former Italian Champion in Triathlon Sprint and Duathlon Sprint as well as former Olympian for the Italian national triathlon team. Daniel Hofer has been a Santini ambassador since 2016. 26 year old athlete born in Hertfordshire, England, raised in Brisbane, Australia and South Africa. Former Pofessional cyclist for Dimension Data, age group World Championship for sprint distance triathlon on the Gold Coast at nineteen years old. In 2019 he decided to return to his first passion, triathlon, to chase his own goals as an athlete.